My fun new things…..and BIG news!! I am so thrilled to be really moving along to my goal of my dream store! I can not wait! I love taking one man’s trash and using paint to turn it into treasure for another. I love the sense of accomplishment when you really get into a project and see the incredible transformation the piece is taking on. Mostly I love helping others do it too! Who doesn’t love the satisfaction of saving a few $ or using a new learned skill to make a few $ instead? In that vein I am working on some really exciting things. I have talked about one of them on my facebook page and I want to make sure to mention it here in case some of you aren’t hooked up with the facebook SavedbyScottie page (and then I would also like to ask, Why not?). 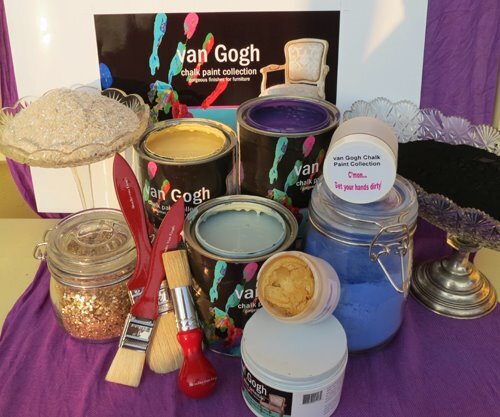 I have been researching a way to add to my “tool box” of sorts and am so pleased to announce my affiliation with the van Gogh Chalk Paint Collection! I LOVE this product and I LOVE this collection! The paint color palette is vibrant, the color names are cheeky, and the coverage and consistency are rich. 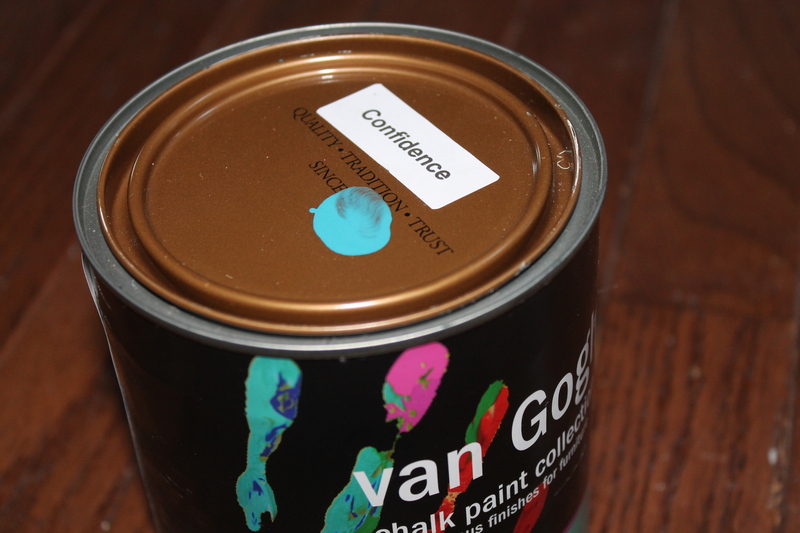 Each can has a thumbprint on the lid testing the color and as a mark of quality control. I am in absolute awe of the options for finishing your pieces. The wax is completely non-toxic and smells absolutely divine- it’s made of beeswax and will truly have you craving honey and toast in no time. There’s more than just the wax though… this collection includes a whole line of “Furniture Makeup” to use to add that special “WOW” factor. Moon Glaze– add a silver sheen and glaze to your pieces. 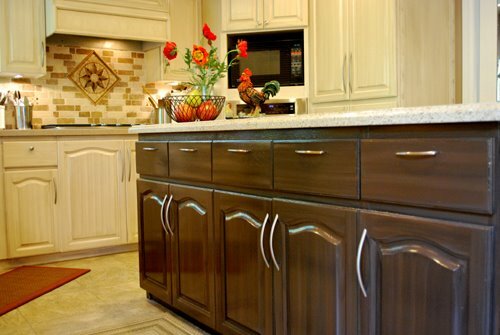 Kitchen Cabinet Antiquing Glaze– the easy peezy way to refresh those dated but perfectly usable cabinets. You’ve seen that look on Pinterest everyone loves? Recreate it with paint and this glaze. 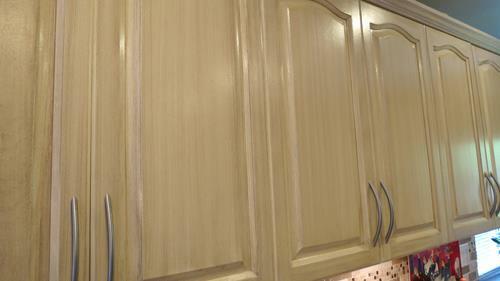 Protects and gives you the perfect antique finish without the hassle of waxing every cabinet. Embossing Plaster– love those intricate 3-D wood carved designs on drawers and cabinets? You can make your own with this product and a stencil. 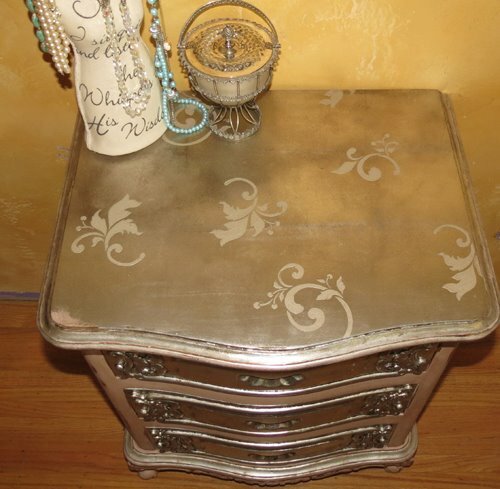 Once dry it can be painted, waxed, glazed, distressed, etc. Just like wood to blend in and look like it’s always been there. It even does double duty as a decoupage medium. Use it with fancy tissue paper to line drawers or drawer fronts to add a “Pop” of fun! Luminous Eye Shadow– easiest way to describe this is metallic champagne gorgeousness. My personal favorite so far is layered over the Balsamic paint for a deep iridescence. Paint Crackle– this can also be used as a sizing for metallic leaf products. It does just what is says…crackles the paint to expose the next layer down whether it be a former layer of paint, a new layer of paint you just added, or the original wood finish. Ancient Crackle– this is a more dramatic look…a deeper crackle. It gives the appearance of old-looking stone and is a much more coarse finish. Kathy van Gogh (the collection creator) is a long-term professional faux-finisher and true artist. She is constantly on the look out for more products that will make life easier so expect new products to come out in time as well. She is a woman of vision and the utmost integrity and I am proud to be associated with her. I believe in this product and Kathy’s vision SO much that I am not just a retailer, I am also the newest Distributor for the North East US market. 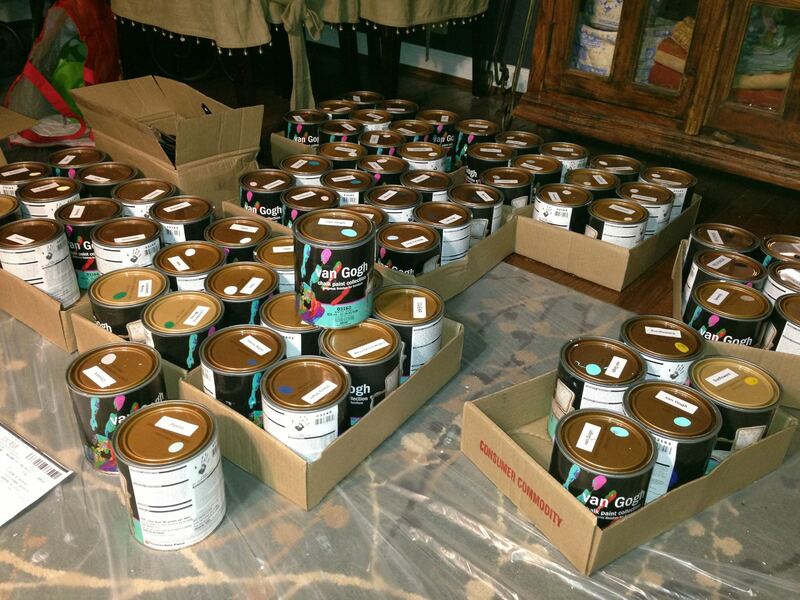 Do you know someone who may want to carry this paint in their shop and show others how to use it too? I’d love to introduce it to them and give them some incredible details about Kathy’s aspirations for this incredible product. So tell me….what do you think? Are you as excited as I am?!! Your blog makes my mouth water and my mind wander. Thanks Michelle! I’m just having fun… I hope it always feels this way.